The updated and highly illustrated guide to understanding how just about everything in your house works! 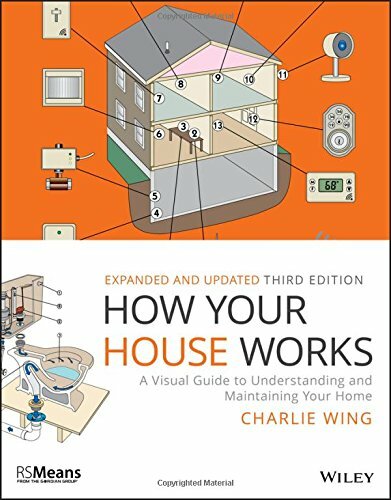 The revised and updated third edition of How Your House Works is a hands-on guide that gives you the low-down on why your faucet is leaking, your dishwasher is overflowing, or your furnace is on the fritz. This comprehensive book is your reference to virtually everything in your house with richly illustrated explanations of electrical systems, heating and air conditioning, plumbing, major household appliances, foundation, framing, doors, and windows. This must-have book answers most questions homeowners face when repairs are needed or when a new house or addition is in your future. Written for homeowners with little or no knowledge of home maintenance or repair, How Your House Works is your illustrated and updated guide to understanding how appliances, electrical, plumbing, heating, air conditioning, and more work!